Dental implants are rapidly changing how patients are restoring their teeth. By rebuilding the foundation of a tooth, we are doing more than providing a false tooth; we are providing a fully restored tooth. 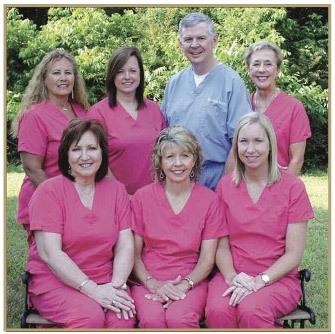 Working with Dr. Black, along with our team at South Main Dental, we can show you how dental implants do more. A dental implant is an implanted tooth root. What many patients may be unaware of is that when they lost the tooth, they also lost the base, known as the root. The root is that middle connecting piece that stabilizes the tooth to the jawbone. Without the root, a dentist may be able to place a false tooth by attaching it to neighboring teeth, but it will never be truly restoring the structure. Because of the uniqueness of this process, by rebuilding the base, we are fully and truly restoring the tooth. 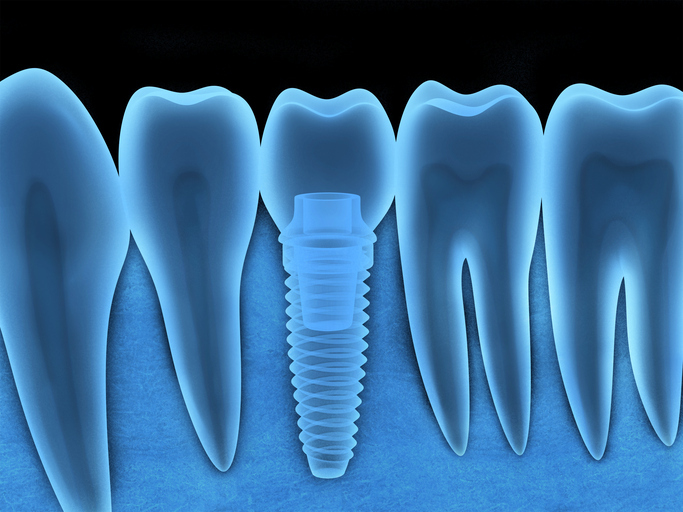 By appearance and design, a dental implant looks very similar to what we would think of as a screw. This allows the bottom of the implant to be sunk into the patient’s jawbone and the head of the implant will have a structure that we can attach a prosthetic device to. Implants are made of titanium, which has a long proven success record of implantation in surgical procedures. Surgeons have used titanium pieces in bone repair throughout the human skeleton because it’s a biocompatible metal that is strong, lightweight, and extremely durable. The number of implants needed, and their size in width and depth, are dependant on the teeth being restored. Dr. Black can use implants to restore a single tooth that a dental crown will be placed on, or they can restore multiple teeth with a bridge, a partial denture, or even restore all of your teeth with a full denture that is permanently stabilized with four to six implants. The options are endless. Implants come in a variety of sizes and options based on a variety of factors. In most cases, before the placement of a dental implant, there is some preparatory work that needs to be done. This may include the removal of a damaged tooth, and will often include a bone graft procedure to bulk up the jawbone. Following the loss of a tooth, patients experience rapid bone loss. This is due to the connection of tooth to jaw being lost. Only a dental implant can restore that connection; it cannot be restored with any other tooth restoration. There are factors that can make the placement of a dental implant more difficult. Patients who have decreased healing ability are at higher risk of implant failure. This includes patients who have diabetes, who smoke cigarettes or other tobacco products, a variety of medications, or other health problems. These conditions do not eliminate a patient from restoration, but we may need to make arrangements before surgery to increase the likelihood of successful treatment. At South Main Dental, we are not only happy but excited, to discuss the many benefits that come with dental implants. If you are interested in doing more than replacing a missing tooth, but in restoring the tooths full function, we would love to show you the difference.